For other uses, see Windmill (disambiguation). A windmill is a structure that converts the energy of wind into rotational energy by means of vanes called sails or blades. Centuries ago, windmills usually were used to mill grain (gristmills), pump water (windpumps), or both. There are windmills that convert the rotational energy directly into heat. The majority of modern windmills take the form of wind turbines used to generate electricity, or windpumps used to pump water, either for land drainage or to extract groundwater. Windmills first appeared in Persia in the 9th century AD, and were later independently invented in Europe. 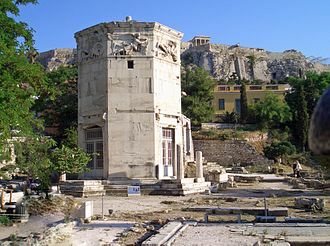 The windwheel of the Greek engineer Hero of Alexandria in the first century is the earliest known instance of using a wind-driven wheel to power a machine. Another early example of a wind-driven wheel was the prayer wheel, which has been used in Tibet and China since the fourth century. 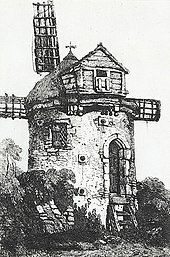 Hooper's Mill, Margate, Kent, an eighteenth-century European horizontal windmill. Coat of arms of Jemgum, East Friesland, Germany. The first practical windmills had sails that rotated in a horizontal plane, around a vertical axis. According to Ahmad Y. al-Hassan, these panemone windmills were invented in eastern Persia, or Khorasan, as recorded by the Persian geographer Estakhri in the ninth century. The authenticity of an earlier anecdote of a windmill involving the second caliph Umar (AD 634–644) is questioned on the grounds that it appears in a tenth-century document. Made of six to 12 sails covered in reed matting or cloth material, these windmills were used to grind grain or draw up water, and were quite different from the later European vertical windmills. 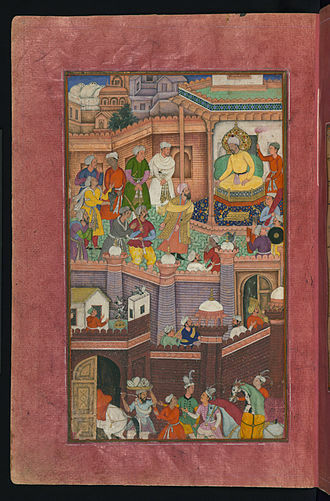 Windmills were in widespread use across the Middle East and Central Asia, and later spread to China and India from there. 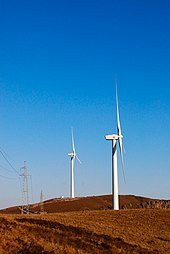 A similar type of horizontal windmill with rectangular blades, used for irrigation, can also be found in thirteenth-century China (during the Jurchen Jin dynasty in the north), introduced by the travels of Yelü Chucai to Turkestan in 1219. Horizontal windmills were built, in small numbers, in Europe during the 18th and nineteenth centuries, for example Fowler's Mill at Battersea in London, and Hooper's Mill at Margate in Kent. These early modern examples seem not to have been directly influenced by the horizontal windmills of the Middle and Far East, but to have been independent inventions by engineers influenced by the Industrial Revolution. 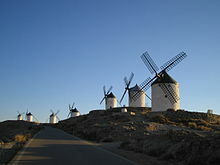 Due to a lack of evidence, debate occurs among historians as to whether or not Middle Eastern horizontal windmills triggered the original development of European windmills. In northwestern Europe, the horizontal-axis or vertical windmill (so called due to the plane of the movement of its sails) is believed to date from the twelfth and thirteenth centuries in the triangle of northern France, eastern England and Flanders. 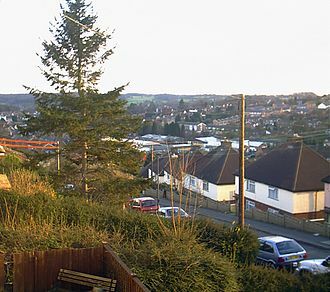 The earliest certain reference to a windmill in Europe (assumed to have been of the vertical type) dates from 1185, in the former village of Weedley in Yorkshire which was located at the southern tip of the Wold overlooking the Humber Estuary. 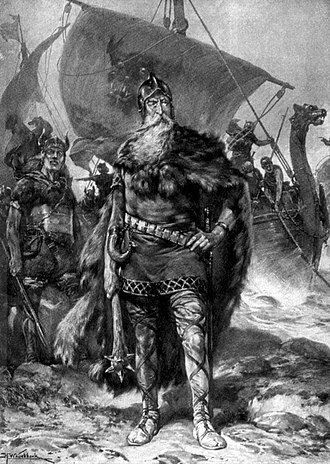 A number of earlier, but less certainly dated, twelfth-century European sources referring to windmills have also been found. These earliest mills were used to grind cereals. The evidence at present is that the earliest type of European windmill was the post mill, so named because of the large upright post on which the mill's main structure (the "body" or "buck") is balanced. By mounting the body this way, the mill is able to rotate to face the wind direction; an essential requirement for windmills to operate economically in north-western Europe, where wind directions are variable. The body contains all the milling machinery. The first post mills were of the sunken type, where the post was buried in an earth mound to support it. Later, a wooden support was developed called the trestle. This was often covered over or surrounded by a roundhouse to protect the trestle from the weather and to provide storage space. This type of windmill was the most common in Europe until the nineteenth century, when more powerful tower and smock mills replaced them. In a hollow-post mill, the post on which the body is mounted is hollowed out, to accommodate the drive shaft. This makes it possible to drive machinery below or outside the body while still being able to rotate the body into the wind. Hollow-post mills driving scoop wheels were used in the Netherlands to drain wetlands from the fourteenth century onwards. By the end of the thirteenth century, the masonry tower mill, on which only the cap is rotated rather than the whole body of the mill, had been introduced. 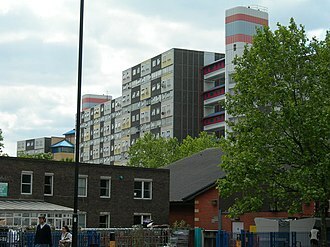 The spread of tower mills came with a growing economy that called for larger and more stable sources of power, though they were more expensive to build. In contrast to the post mill, only the cap of the tower mill needs to be turned into the wind, so the main structure can be made much taller, allowing the sails to be made longer, which enables them to provide useful work even in low winds. The cap can be turned into the wind either by winches or gearing inside the cap or from a winch on the tail pole outside the mill. A method of keeping the cap and sails into the wind automatically is by using a fantail, a small windmill mounted at right angles to the sails, at the rear of the windmill. These are also fitted to tail poles of post mills and are common in Great Britain and English-speaking countries of the former British Empire, Denmark, and Germany but rare in other places. Around some parts of the Mediterranean Sea, tower mills with fixed caps were built because the wind's direction varied little most of the time. The smock mill is a later development of the tower mill, where the masonry tower is replaced by a wooden framework, called the "smock", which is thatched, boarded or covered by other materials, such as slate, sheet metal, or tar paper. The smock is commonly of octagonal plan, though there are examples with different numbers of sides. The lighter weight than tower mills make smock mills practical as drainage mills, which often had to be built in areas with unstable subsoil. Smock mills originated for drainage, but are also used for other purposes. When used in a built-up area it is often placed on a masonry base to raise it above the surrounding buildings. Common sails consist of a lattice framework on which a sailcloth is spread. The miller can adjust the amount of cloth spread according to the wind and the power needed. In medieval mills, the sailcloth was wound in and out of a ladder type arrangement of sails. Later mill sails had a lattice framework over which the sailcloth was spread, while in colder climates, the cloth was replaced by wooden slats, which were easier to handle in freezing conditions. The jib sail is commonly found in Mediterranean countries, and consists of a simple triangle of cloth wound round a spar. In all cases, the mill needs to be stopped to adjust the sails. Inventions in Great Britain in the late eighteenth and nineteenth centuries led to sails that automatically adjust to the wind speed without the need for the miller to intervene, culminating in patent sails invented by William Cubitt in 1807. In these sails, the cloth is replaced by a mechanism of connected shutters. In France, Pierre-Théophile Berton invented a system consisting of longitudinal wooden slats connected by a mechanism that lets the miller open them while the mill is turning. In the twentieth century, increased knowledge of aerodynamics from the development of the airplane led to further improvements in efficiency by German engineer Bilau and several Dutch millwrights. The majority of windmills have four sails. Multiple-sailed mills, with five, six or eight sails, were built in Great Britain (especially in and around the counties of Lincolnshire and Yorkshire), Germany, and less commonly elsewhere. Earlier multiple-sailed mills are found in Spain, Portugal, Greece, parts of Romania, Bulgaria, and Russia. A mill with an even number of sails has the advantage of being able to run with a damaged sail by removing both the damaged sail and the one opposite, which does not unbalance the mill. In the Netherlands the stationary position of the sails, i.e. when the mill is not working, has long been used to give signals. If the blades are stopped in a "+" sign (3-6-9-12 o'clock), the windmill is open for business. 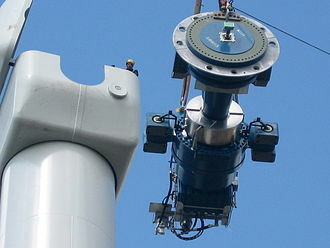 When the blades are stopped in an "X" configuration, the windmill is closed or not functional. A slight tilt of the sails (top blade at 1 o'clock) signals joy, such as the birth of a healthy baby. A tilt of the blades to 11-2-5-8 o'clock signals mourning, or warning. 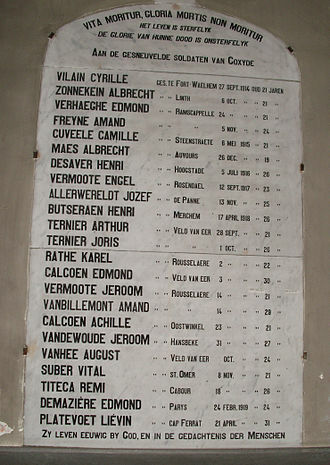 It was used to signal the local region during Nazi operations in World War II, such as searches for Jews. Across the Netherlands, windmills were placed in mourning position in honor of the Dutch victims of the 2014 Malaysian Airlines Flight 17 shootdown. Gears inside a windmill convey power from the rotary motion of the sails to a mechanical device. The sails are carried on the horizontal windshaft. Windshafts can be wholly made of wood, or wood with a cast iron poll end (where the sails are mounted) or entirely of cast iron. The brake wheel is fitted onto the windshaft between the front and rear bearing. It has the brake around the outside of the rim and teeth in the side of the rim which drive the horizontal gearwheel called wallower on the top end of the vertical upright shaft. In grist mills, the great spur wheel, lower down the upright shaft, drives one or more stone nuts on the shafts driving each millstone. Post mills sometimes have a head and/or tail wheel driving the stone nuts directly, instead of the spur gear arrangement. Additional gear wheels drive a sack hoist or other machinery. The machinery differs if the windmill is used for other applications than milling grain. A drainage mill uses another set of gear wheels on the bottom end of the upright shaft to drive a scoop wheel or Archimedes' screw. Sawmills use a crankshaft to provide a reciprocating motion to the saws. Windmills have been used to power many other industrial processes, including papermills, threshing mills, and to process oil seeds, wool, paints and stone products. Littlefield, Texas, claims the world's tallest windmill. The Jonathan Young Windmill, in Orleans, Massachusetts, likely built in 1720, is either the oldest or among the oldest, windmills in the United States. A windmill in Wales, United Kingdom. 1815. 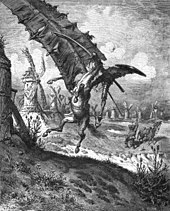 Don Quijote being struck by a windmill, illustration by Paul Gustave Louis Christophe Doré. 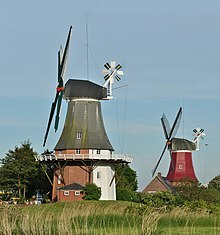 In the 14th century windmills became popular in Europe; the total number of wind-powered mills is estimated to have been around 200,000 at the peak in 1850, which is modest compared to some 500,000 waterwheels. Windmills were applied in regions where there was too little water, where rivers freeze in winter and in flat lands where the flow of the river was too slow to provide the required power. With the coming of the industrial revolution, the importance of wind and water as primary industrial energy sources declined, and they were eventually replaced by steam (in steam mills) and internal combustion engines, although windmills continued to be built in large numbers until late in the nineteenth century. More recently, windmills have been preserved for their historic value, in some cases as static exhibits when the antique machinery is too fragile to put in motion, and in other cases as fully working mills. Of the 10,000 windmills in use in the Netherlands around 1850, about 1,000 are still standing. Most of these are being run by volunteers, though some grist mills are still operating commercially. Many of the drainage mills have been appointed as backup to the modern pumping stations. 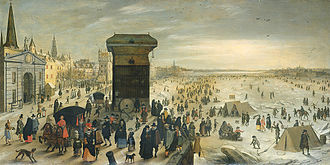 The Zaan district has been said to have been the first industrialized region of the world with around 600 operating wind-powered industries by the end of the eighteenth century. Economic fluctuations and the industrial revolution had a much greater impact on these industries than on grain and drainage mills, so only very few are left. Construction of mills spread to the Cape Colony in the seventeenth century. 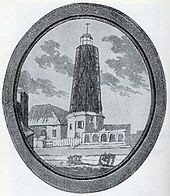 The early tower mills did not survive the gales of the Cape Peninsula, so in 1717 the Heeren XVII sent carpenters, masons, and materials to construct a durable mill. The mill, completed in 1718, became known as the Oude Molen and was located between Pinelands Station and the Black River. Long since demolished, its name lives on as that of a Technical school in Pinelands. By 1863, Cape Town had 11 mills stretching from Paarden Eiland to Mowbray. A wind turbine is a windmill-like structure specifically developed to generate electricity. They can be seen as the next step in the development of the windmill. The first wind turbines were built by the end of the nineteenth century by Prof James Blyth in Scotland (1887), Charles F. Brush in Cleveland, Ohio (1887–1888) and Poul la Cour in Denmark (1890s). La Cour's mill from 1896 later became the local powerplant of the village Askov. 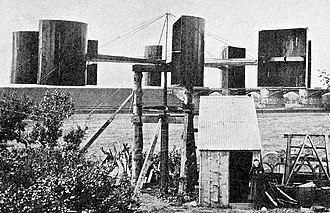 By 1908 there were 72 wind-driven electric generators in Denmark, ranging from 5 to 25 kW. By the 1930s, windmills were widely used to generate electricity on farms in the United States where distribution systems had not yet been installed, built by companies such as Jacobs Wind, Wincharger, Miller Airlite, Universal Aeroelectric, Paris-Dunn, Airline, and Winpower. The Dunlite Corporation produced turbines for similar locations in Australia. Forerunners of modern horizontal-axis utility-scale wind generators were the WIME-3D in service in Balaklava USSR from 1931 until 1942, a 100-kW generator on a 30-m (100-ft) tower, the Smith–Putnam wind turbine built in 1941 on the mountain known as Grandpa's Knob in Castleton, Vermont, United States of 1.25 MW and the NASA wind turbines developed from 1974 through the mid-1980s. The development of these 13 experimental wind turbines pioneered many of the wind turbine design technologies in use today, including: steel tube towers, variable-speed generators, composite blade materials, and partial-span pitch control, as well as aerodynamic, structural, and acoustic engineering design capabilities. The modern wind power industry began in 1979 with the serial production of wind turbines by Danish manufacturers Kuriant, Vestas, Nordtank, and Bonus. These early turbines were small by today's standards, with capacities of 20–30 kW each. Since then, commercial turbines have increased greatly in size, with the Enercon E-126 capable of delivering up to 7 MW, while wind turbine production has expanded to many countries. 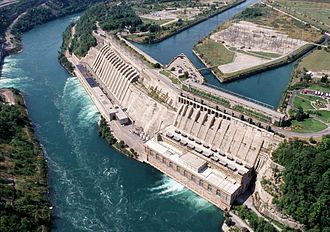 As the 21st century began, rising concerns over energy security, global warming, and eventual fossil fuel depletion led to an expansion of interest in all available forms of renewable energy. Worldwide, many thousands of wind turbines are now operating, with a total nameplate capacity of 194,400 MW. Europe accounted for 48% of the total in 2009. Windpumps were used to pump water since at least the 9th century in what is now Afghanistan, Iran and Pakistan. The use of wind pumps became widespread across the Muslim world and later spread to China and India. Windmills were later used extensively in Europe, particularly in the Netherlands and the East Anglia area of Great Britain, from the late Middle Ages onwards, to drain land for agricultural or building purposes. 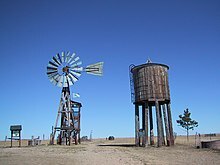 The American windmill, or wind engine, was invented by Daniel Halladay in 1854 and was used mostly for lifting water from wells. 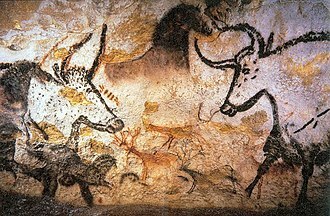 Larger versions were also used for tasks such as sawing wood, chopping hay, and shelling and grinding grain. In early California and some other states, the windmill was part of a self-contained domestic water system which included a hand-dug well and a wooden water tower supporting a redwood tank enclosed by wooden siding known as a tankhouse. During the late 19th century steel blades and steel towers replaced wooden construction. At their peak in 1930, an estimated 600,000 units were in use. Firms such as U.S. Wind Engine and Pump Company, Challenge Wind Mill and Feed Mill Company, Appleton Manufacturing Company, Star, Eclipse, Fairbanks-Morse, Dempster Mill Manufacturing Company and Aermotor became the main suppliers in North and South America. These windpumps are used extensively on farms and ranches in the United States, Canada, Southern Africa, and Australia. They feature a large number of blades, so they turn slowly with considerable torque in low winds and are self-regulating in high winds. A tower-top gearbox and crankshaft convert the rotary motion into reciprocating strokes carried downward through a rod to the pump cylinder below. Such mills pumped water and powered feed mills, saw mills, and agricultural machinery. In Australia, the Griffiths Brothers at Toowoomba manufactured windmills of the American pattern from 1876, with the trade name Southern Cross Windmills in use from 1903. These became an icon of the Australian rural sector by utilizing the water of the Great Artesian Basin. Another well-known maker was Metters Ltd. of Adelaide, Perth and Sydney. ^ "Mill definition". Thefreedictionary.com. Retrieved 2013-08-15. ^ "Windmill definition stating that a windmill is a mill or machine operated by the wind". Merriam-webster.com. 2012-08-31. Retrieved 2013-08-15. ^ Lucas, Adam (2006). Wind, Water, Work: Ancient and Medieval Milling Technology. Brill Publishers. p. 105. ISBN 90-04-14649-0. ^ Klaus Ferdinand, “The Horizontal Windmills of Western Afghanistan,” Folk 5, 1963, pp. 71–90. ^ Needham, Volume 4, Part 2, 560. ^ Braudel, Fernand (1992). Civilization and Capitalism, 15th–18th Century, Vol. I: The Structure of Everyday Life. University of California Press. p. 358. ISBN 9780520081147. ^ Laurence Turner, Roy Gregory (2009). 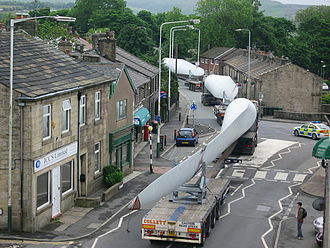 Windmills of Yorkshire. Catrine, East Ayrshire: Stenlake Publishing. p. 2. ISBN 9781840334753. ^ Lynn White Jr., Medieval technology and social change (Oxford, 1962) p. 87. ^ Sathyajith, Mathew (2006). Wind Energy: Fundamentals, Resource Analysis and Economics. Springer Berlin Heidelberg. pp. 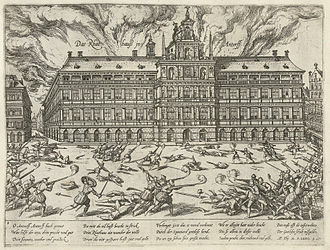 1–9. ISBN 978-3-540-30905-5. 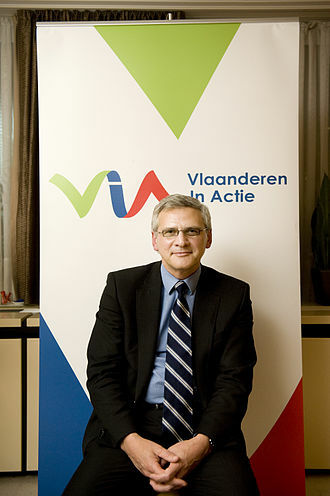 ^ Martin Watts (2006). Windmills. Osprey Publishing. p. 55. ISBN 978-0-7478-0653-0. ^ a b c "Wind powered factories: history (and future) of industrial windmills". Low-tech Magazine. 2009-10-08. Retrieved 2013-08-15. ^ "In somber ceremony, Dutch receive the first remains of MH17 victims". Retrieved 24 July 2014. ^ "Local Windmills". Mostertsmill.co.za. Archived from the original on 2013-08-08. Retrieved 2013-08-15. ^ The Return of Windpower to Grandpa's Knob and Rutland County Archived 2008-08-28 at the Wayback Machine, Noble Environmental Power, LLC, 12 November 2007. Retrieved from Noblepower.com website 10 January 2010. Comment: this is the real name for the mountain the turbine was built, in case you wondered. ^ "fnal.gov". fnal.gov. Retrieved 2013-08-15. ^ Clements, Elizabeth. "Historic Turns in The Windmill City". Ferimi News. Office of Science/US Dept of Energy. Retrieved 25 January 2015. Chartrand. French Fortresses in North America 1535–1763: Quebec, Montreal, Louisbourg and New Orleans. Drachmann, A.G. (1961) "Heron's Windmill", Centaurus, 7. Gregory, Roy and Laurence Turner (2009) Windmills of Yorkshire ISBN 978-1-84033-475-3. Hassan, Ahmad Y., Donald Routledge Hill (1986). Islamic Technology: An illustrated history. Cambridge University Press. ISBN 0-521-42239-6. Shepherd, Dennis G. (1990) Historical Development of the Windmill, Ithaca, New York: Cornell University, NASA Contractor Report 4337 DOE/NASA.5266-1, prepared for National Aeronautics and Space Administration, Lewis Research Center & Office of Management, Scientific and Technical Information Division, DOI:10.1115/1.802601. Tunis, Edwin (1999), Colonial living, The Johns Hopkins University Press, ISBN 0-8018-6227-2, pp. 72 and 73. Wikisource has the text of The New Student's Reference Work article "Windmill". 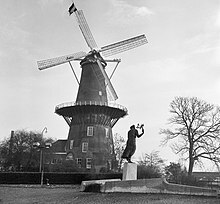 Wikimedia Commons has media related to Windmills. Hero of Alexandria was a Greek mathematician and engineer who was active in his native city of Alexandria, Roman Egypt. He is considered the greatest experimenter of antiquity and his work is representative of the Hellenistic scientific tradition, Hero published a well recognized description of a steam-powered device called an aeolipile. 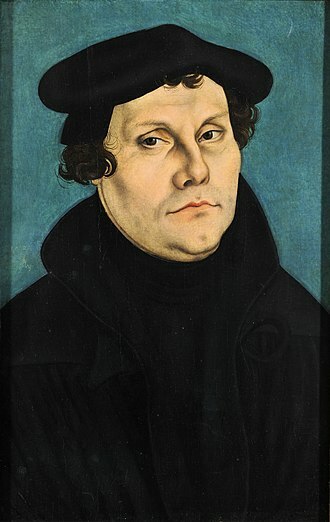 Among his most famous inventions was a windwheel, constituting the earliest instance of wind harnessing on land and he is said to have been a follower of the atomists. Some of his ideas were derived from the works of Ctesibius, much of Heros original writings and designs have been lost, but some of his works were preserved in Arabic manuscripts. Hero described the construction of the aeolipile which was a reaction engine. It was created almost two millennia before the industrial revolution, another engine used air from a closed chamber heated by an altar fire to displace water from a sealed vessel, the water was collected and its weight, pulling on a rope, opened temple doors. Some historians have conflated the two inventions to assert that the aeolipile was capable of useful work. The first vending machine was one of his constructions, when a coin was introduced via a slot on the top of the machine. This was included in his list of inventions in his book Mechanics and Optics, when the coin was deposited, it fell upon a pan attached to a lever. The lever opened up a valve which let some water flow out, the pan continued to tilt with the weight of the coin until it fell off, at which point a counter-weight would snap the lever back up and turn off the valve. A windwheel operating an organ, marking the first instance of wind powering a machine in history, the sound of thunder was produced by the mechanically-timed dropping of metal balls onto a hidden drum. The force pump was used in the Roman world. A syringe-like device was described by Hero to control the delivery of air or liquids. In optics, Hero formulated the principle of the shortest path of light, If a ray of light propagates from point A to point B within the same medium, a standalone fountain that operates under self-contained hydrostatic energy A programmable cart that was powered by a falling weight. 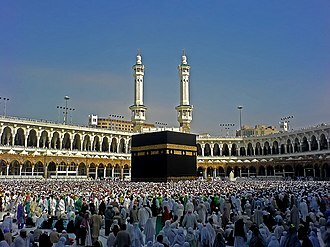 It roughly corresponds to the territory on the Iranian plateau and its bordering plains. It is referred to as Greater Persia, while the Encyclopædia Iranica uses the term Iranian Cultural Continent. The term Iran is not limited to the state of Iran. The concept of Greater Iran has its source in the history of the Achaemenid Empire in Persis, the Treaty of Gulistan in 1813 resulted in Iran ceding Dagestan and most of Azerbaijan to Russia. 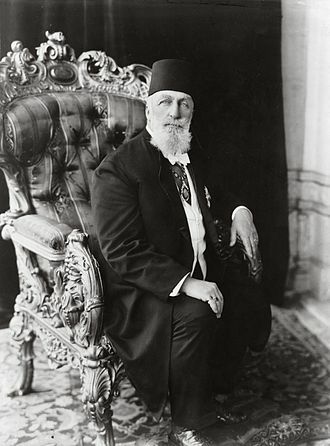 After the Russo-Persian War, the Turkmanchey Treaty of 1828 ended centuries of Iranian control of its Caucasian provinces, in 1935, the endonym Iran was adopted as the official international name of Persia by its ruler Reza Shah. 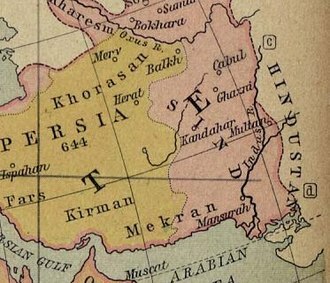 The name “Irān“, meaning “land of the Aryans”, is the New Persian continuation of the old genitive plural aryānām, the Avestan evidence is confirmed by Greek sources, Arianē is spoken of as being between Persia and the Indian subcontinent. However, this is a Greek pronunciation of the name Haroyum/Haraiva, a land listed separately from the homeland of the Aryans. While up until the end of the Parthian period in the 3rd century CE, the idea of “Irān“ had an ethnic, the idea of an “Iranian“ empire or kingdom in a political sense is a purely Sasanian one. 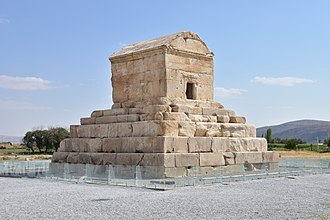 It was the result of a convergence of interests between the new dynasty and the Zoroastrian clergy, as we can deduce from the available evidence and this convergence gave rise to the idea of an Ērān-šahr “Kingdom of the Iranians, ” which was “ēr“. 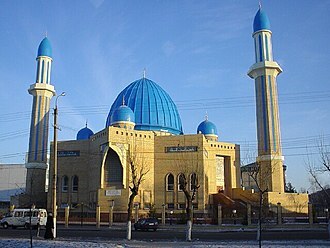 Richard Nelson Frye defines Greater Iran as including much of the Caucasus, Afghanistan and Central Asia, with influences extending to China. According to Frye, Iran means all lands and peoples where Iranian languages were and are spoken, and this view, even though common among serious scholars, is almost certainly overstated. 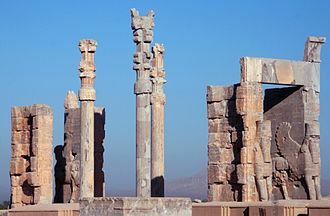 To the Ancient Greeks, Greater Iran ended at the Indus, according to J. P. Mallory and Douglas Q. Adams most of Western greater Iran spoke Southwestern Iranian languages in the Achaemenid era while the Eastern territory spoke Eastern Iranian languages related to Avestan. Tibet is a region on the Tibetan Plateau in Asia, spanning about 2.4 million km2 and nearly a quarter of Chinas territory. Tibet is the highest region on Earth, with an elevation of 4,900 metres. The highest elevation in Tibet is Mount Everest, Earths highest mountain, the Tibetan Empire emerged in the 7th century, but with the fall of the empire the region soon divided into a variety of territories. The current borders of Tibet were generally established in the 18th century, following the Xinhai Revolution against the Qing dynasty in 1912, Qing soldiers were disarmed and escorted out of Tibet Area. 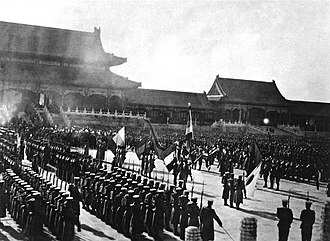 The region subsequently declared its independence in 1913 without recognition by the subsequent Chinese Republican government, Lhasa took control of the western part of Xikang, China. There are tensions regarding Tibets political status and dissident groups that are active in exile and it is said that Tibetan activists in Tibet have been arrested or tortured. 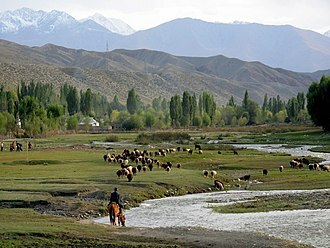 The economy of Tibet is dominated by agriculture, though tourism has become a growing industry in recent decades. The dominant religion in Tibet is Tibetan Buddhism, in there is Bön, which is similar to Tibetan Buddhism. Tibetan Buddhism is an influence on the art, music. Tibetan architecture reflects Chinese and Indian influences, staple foods in Tibet are roasted barley, yak meat, and butter tea. The Tibetan name for their land, Bod བོད་, means Tibet or Tibetan Plateau, although it meant the central region around Lhasa. The Standard Tibetan pronunciation of Bod, is transcribed Bhö in Tournadre Phonetic Transcription, Bö in the THL Simplified Phonetic Transcription and Poi in Tibetan pinyin. 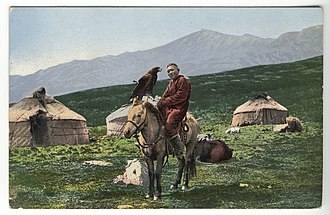 Tibetan people and culture, regardless of where they are from, are referred to as Zang although the geographical term Xīzàng is often limited to the Tibet Autonomous Region. 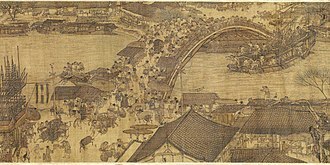 The term Xīzàng was coined during the Qing dynasty in the reign of the Jiaqing Emperor through the addition of a prefix meaning west to Zang, the best-known medieval Chinese name for Tibet is Tubo. This name first appears in Chinese characters as 土番 in the 7th century, in the Middle Chinese spoken during that period, as reconstructed by William H.
Windmills are powered by their sails. Sails are found in different designs, from primitive common sails to the patent sails. The jib sail is found in Mediterranean countries and consists of a triangle of cloth wound round a spar. The mill must be stopped in order to adjust the reefing of the sail, though rare in the UK, at least two windmills are known to have had jib sails. The common sail is the simplest form of sail, in medieval mills, the sailcloth was wound in and out of a ladder-type arrangement of sails. Medieval sails could be constructed with or without outer sailbars, post-medieval mill sails have a lattice framework over which the sailcloth is spread. There are various reefs for the different spread of sails, these are full sail, dagger point, sword point, the mill must be stopped in order to adjust the reefing of the sail. Spring sails were invented by Scottish millwright Andrew Meikle in 1772, the sail is divided into a number of bays, each having a number of shutters. All the shutters are joined together by a bar. Although automatic in operation, the mill must be stopped in order to adjust the reefing of the sail, roller reefing sails were invented by Stephen Hooper in 1789. As with spring sails, the sail is divided into a number of bays, the cloth is extended or retracted by a rod and lever system, and connected with a shutter bar on each sail. Adjustment of the roller reefing sail can be made without stopping the mill and this type of sail was popular in Yorkshire, although the only remaining mill with roller reefing sails intact is Ballycopeland Windmill in Northern Ireland. Patent sails were invented by William Cubitt in 1807 and they combine the shutters of the spring sail with automatic adjustment of the roller reefing sail. Their construction is similar to that of the spring sail, adjustment of patent sails can be made without stopping the mill. Air brakes In 1860, the English millwright Catchpole fitted an automatic air brake to the ends of patent sails and these were longitudinal shutters at the tip of each sail, which opened up if the wind got too strong, thus slowing the sail. The post mill is the earliest type of European windmill. The defining feature is that the body of the mill that houses the machinery is mounted on a single vertical post. The earliest post mills in England are thought to have built in the 12th century. The earliest working post mill in England still used today is to be found at Outwood in Surrey, the earliest remaining example of a non-operational mill can be found in Great Gransden in Cambridgeshire, built in 1612. 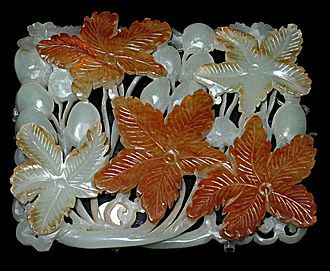 Their design and usage peaked in the 18th and 19th centuries, many still exist today, primarily to be found in Northern Europe and Great Britain. The term peg mill or peg and post mill was used in north west England, there are many variations amongst post mills. The earliest post mills were small, and this led to problems with stability as they were liable to blow down in strong winds. A solution was found by burying the bottom of the trestle in a mound of earth, the last sunk post mills in England were at Warton and Essington, Staffordshire. As mills were made bigger, it was found that the trestle did not need to be buried, thus the open trestle post mills were built. 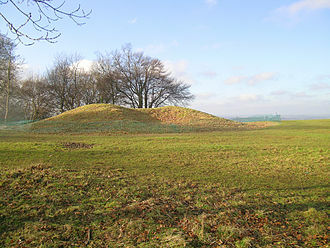 The oldest surviving is at Great Gransden, others exist in the UK at Bourn, Great Chishill, Nutley and Chillenden, Kent. Open trestle post mills are found in France, Belgium. The space around the trestle could be used for storage, but was open to the weather, mill owners started to build roundhouses around the trestles, and mills were built with a roundhouse from new. This had the advantage of creating a covered storage area. In Suffolk, millwrights would build post mills mounted on tall, in the Midlands and North West of England, the top of the roundhouse had a curb, and rollers affixed to the mill body enabled the roundhouse to bear some of the weight of the mill. Examples of Midlands post mills extant include Danzey Green mill, in eastern Europe, instead of a roundhouse an apron was fitted to the bottom of the body of the mill, enclosing the trestle and thereby affording protection from the weather. 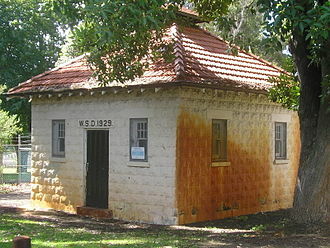 Water Mill derives its name from a claim that the first watermill in New York was built there in 1644. The basic anatomy of a millstone. This diagram depicts a runner stone. Wind powered water pump on Oak Park Farm, Shedd, Oregon. The watermill, the first machine harnessing natural forces (apart from the sail) and as such holding a special place in the history of technology, was invented by Greek engineers sometime between the 3rd and 1st centuries BC. Here a Roman gristmill as described by Vitruvius. Here a spritsail used on a Roman merchant ship (3rd century AD). Prayer wheels in Mussoorie, India. 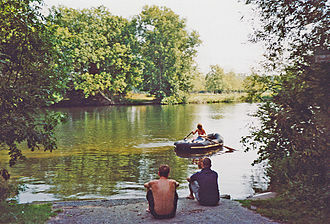 West bank of the Ems River in Leer. Aftermath of a V-2 bombing at Battersea, 27 January 1945. Foulsham tower mill, five stories of brick, early 1800s. Burned 1912 and converted to private residence.